Turning Vision Into Action: Training Vs. Trying to Become a Better Version of You! Training Vs. Trying to Become a Better Version of You! The reality is that on most days your teaching and leading work exhausts you. 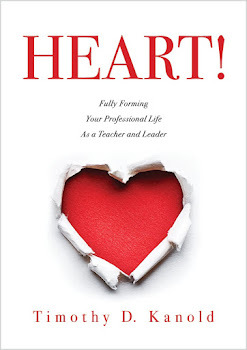 Whether you are leading students or fellow teachers and leaders, YOU are trying really hard… your true teaching and leading work, then, is to train in the disciplines that will enable you to teach and lead efficiently and well, and that will transform who you are as a teacher and leader. Today was the opening day of the 2012 PLC Summit in Phoenix Arizona. It is an incredible experience to attend and be part of this summit. Great energy, great sessions by some of the nations' best thought leaders on improving student learning, 1000's of attendees, and such great stories from so many wonderful educators about their personal journey for growth and improvement and for becoming part of a well-discpined professional learning community. The following is an excerpt from one of my two sessions today. For the Powerpoint slides from today's presentations you can click here. What is disciplined action? As an effective PLC teacher or leader, you not only lead well, but you also reflect long enough to articulate to others, with great clarity, the values and beliefs that cause you to lead well. You know how you think. You can pinpoint the rationale for your actions and decision making with ease. Your reasoning is always connected to the simple and fundamental dual mission for schools: creating success for all students and ensuring individual and collective adult learning and growth. You understand that highly effective teaching and school leadership is necessary to prevent school stagnation and a natural drift toward mediocre performance. Most importantly, you make decisions and act in ways consistent with the vision and values for your area of school leadership and routinely review the practices that you and your colleagues are pursuing to determine if they are still aligned with the vision and values. Trying hard to make good decisions without the training necessary to identify the values and beliefs behind those decisions or to sustain the energy and engagement you need to be at your personal and professional best every day will eventually render you ineffective and frustrating to those closest to you—your family, your fellow faculty members, your students, your fellow administrators, and your friends. 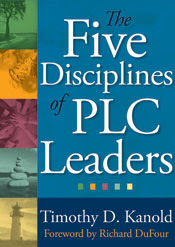 The high-energy demands and expectations of effective PLC teaching and leadership require you to lead a disciplined life. They require the pursuit of a better version of you—each day, each week, each month, each year—a version of you in which your current strengths have all become more highly developed through training around the right set of personal disciplines. Well, that was the excerpt... stay tuned for more reflections from this conference! Leadership is very important and future leaders must have innovative ideas for their work. Your blog is very helpful. Checking frequently enough on the alignment of our practice and vision are my school's very next steps on our PLC journey. I crave a different name for PLC, similar to the manner in which we gave out RTI program it's own unique name---FLG (Focused Learning Groups).